Fair trade provides under- and unemployed artisans from around the world with an opportunity to earn a livable wage and improve their quality of life by establishing a sustainable market for their products. 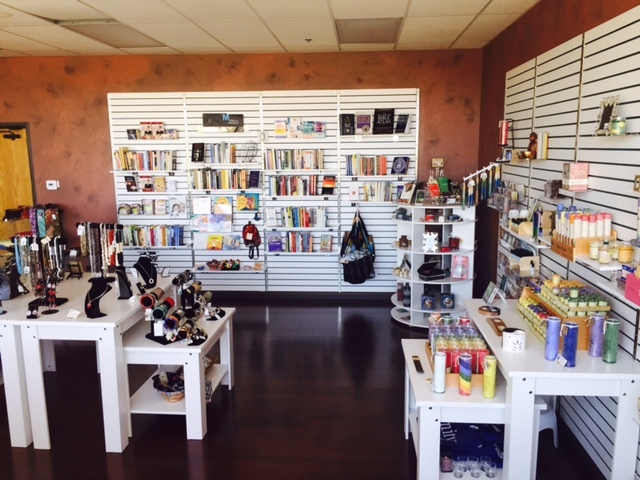 At The Unity Center we believe in giving back to our global community and selling fair trade products is one of the many ways we do this. 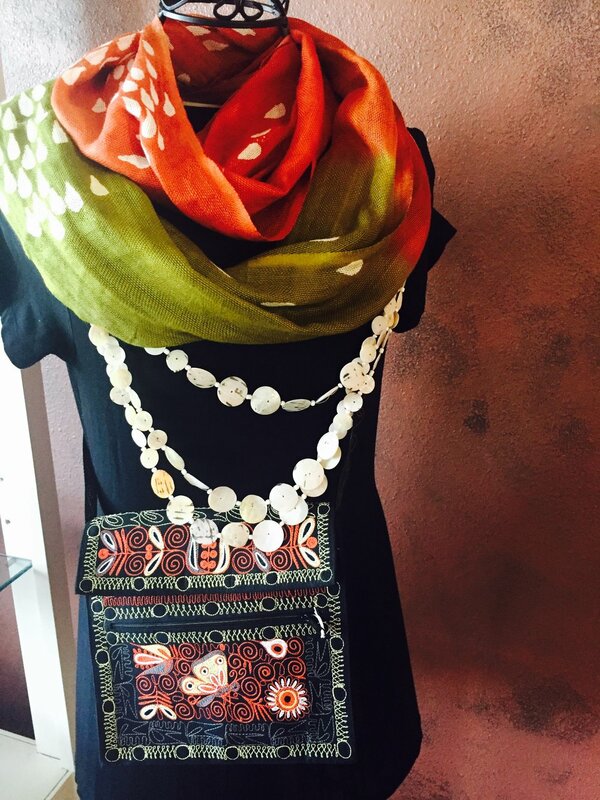 In 2007 we began partnering with Exotic World Gifts so that we could provide a wide range of high quality fair trade gift items to members of our community. 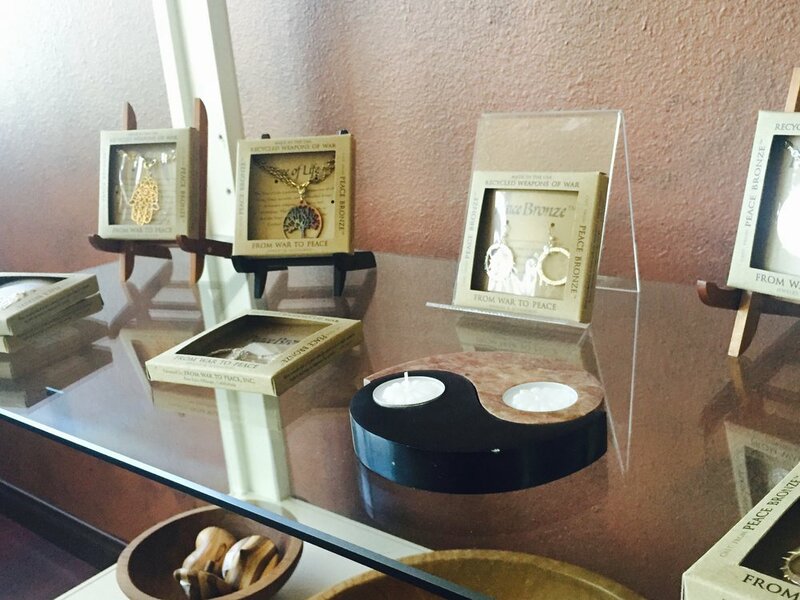 This partnership, combined with our congregation's passion for hand-crafted fair trade gift items, has grown our "Partners Fair Trade Boutique" into one of the largest Fair Trade stores in all of San Diego. When you purchase a beautiful product from our "Partners" Fair Trade Store, not only are you helping to provide a sustainable income for these great artists, you are also helping to fund our micro-finance projects around the world. Located on the second level of The Unity Center. Beading jewelry and working with the local shells has been a tradition of my family. The waters surrounding the over 17,000 islands in the Indonesian archipelago have given forth an abundance of shells that we use to create a wide variety of beautiful jewelry. I love creating new designs with glass beads, mango wood, shells and other affordable materials from where we live. After about nine months of training, most of us in the village can earn a living from beadwork. We work in beautiful, but humble surroundings with very basic tools (needles and pliers) and create some of the most unique and affordable costume jewelry. This is a skill that we keep passing on to our families as it brings us great satisfaction and is created from our hearts. 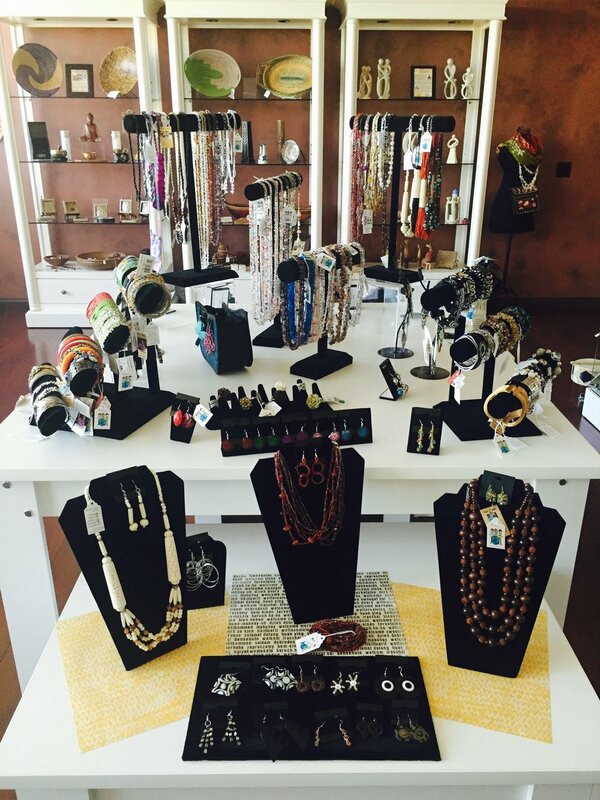 We love creating new designs with glass beads, mango wood, shells and other affordable materials. While I am the mother of five children, two of them passed away in an accident along with my Uncle. While our hearts continue to weigh heavy, we pour our imagination and creativity into our craft - even though some days are so challenging. Knowing people are wearing what we have created makes us feel grateful and gives us the encouragement to stay strong - it makes us feel connected. Micro-credit is the extension of very small loans (microloans) to impoverished borrowers who typically lack collateral, steady employment and a verifiable credit history. It is designed not only to support entrepreneurship and alleviate poverty but also, in many cases, to empower women and uplift entire communities by extension. The Unity Center actively supports micro-credit, and the broader field of micro-finance, in two ways. 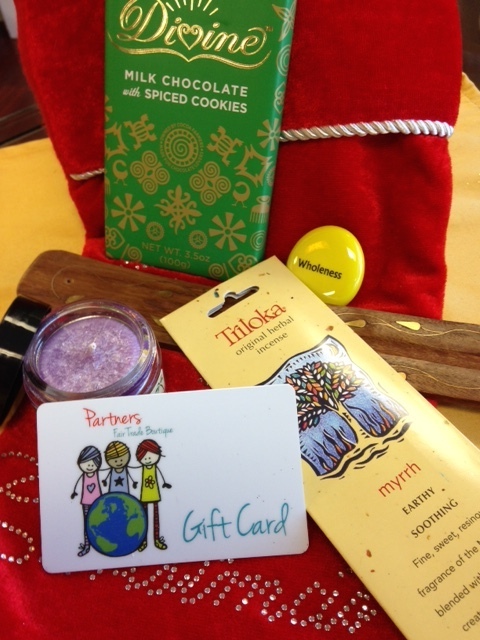 First, through sale of fair trade gift items in our Partners Fair Trade Boutique. Profits from the sale of these items helped launch our first micro-loans to ten impoverished female entrepreneurs in Guatemala in 2010. The following year, a larger loan was made to a rural community outside of Cuzco in Peru to build a community greenhouse. This loan has since been paid forward many times and has resulted in the building of 22 greenhouses to date. These greenhouses are used to extend the growing season for vegetables used by the families who "own" the greenhouse in addition to providing space to grow a profitable cash crop (roses) which allows for the repayment of the loan. Our Travel With a Purpose program is part of our Micro-Credit outreach. Second, through our investments with Oikocredit. Oikocredit is one of the world's largest sources of private funding to the microfinance sector. Oikocredit lends working capital to microfinance institutions (MFIs) all over the world. In turn, they dispense life-changing loans to the poor and disadvantaged, with a special emphasis on rural areas and women. In addition to earning modest financial returns, we are secure in the knowledge that our money is being used to fight poverty, promote fair trade and respect our planet’s natural resources.